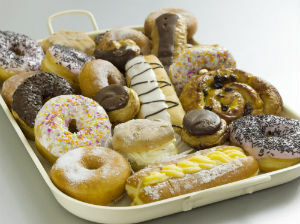 Eating too many calories is a very common weight loss mistake and one that many people don’t even know they are doing. The best remedy for this is to keep a food log. Track everything you put into your mouth on a day-to-day basis for a whole week and calculate the calories. You can do this easily with something like MyFitnessPal.com. On the complete opposite end of the spectrum, we have people who are failing to lose weight because they aren’t eating enough calories. Granted, this isn’t as big a problem as eating too many calories but it can catch a few people out. Some people are surprised the weight isn’t dropping off anymore and they’ll exclaim, “I can’t eat any less! I’m only eating salads!” Well, that can be a problem. If you eat too little, your body can go into starvation mode and cling onto the fat, burning the muscle instead. The remedy? Once again, track everything you eat. If you are eating drastically under maintenance, you need to bump up your calories so you’re only eating 200-500 calories under maintenance. You’ll notice the pounds will start dropping off again when you do this. Another problem is you might have gone too long eating too low calories. If you’ve been eating under maintenance for weeks, you might benefit from a re-feed day. Have one high calorie day and then get back to your diet the next day. You’ll kick your metabolism into overdrive and start losing weight again. 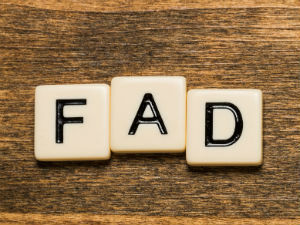 Fad diets aren’t bad per se. Many of them are grounded in science and boast real results for thousands of people. For example, the Atkins Diet and the Paleo Diet both work well. However, if you’re neglecting healthy food sources or only doing juice cleanses or only eating three types of food, you’re being too restrictive and might be doing a disservice to your overall health. Balance is key. There’s no point having ripped abs if you’re getting ill all the time because your immune system is performing badly. 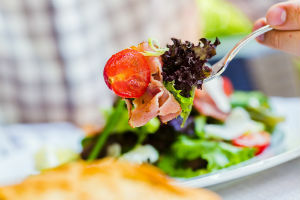 If you’re following a diet because your favorite celebrity is following that diet, or everyone in your favorite gossip magazine is raving about it, you might need to take a step back and think again. There is no such thing as a quick fix. You can lose weight quickly but trying to lose a ton of weight in 10 days is setting yourself up for disaster. This was a problem for me when I was getting down to single digit body fat. I was having two protein shakes a day. One in the morning and one after my workout. But I couldn’t seem to get below 10% after a certain point. I realized that there were too many calories, specifically insulin-raising sugars, in my protein shakes. I dropped one of the protein shakes. I still had one after my workout but ditched the morning shake. The result? I lost 2 pounds that week after weeks of being at a plateau. I blame the low-carb diets. A bunch of people are misinformed, thinking they can eat blocks of cheese and 100 eggs a day as long as they keep carbs out of their diet. Ummm, think again. You have to obey the iron rule of weight loss: eat less than you burn. Remember that fat, even if it’s from a healthy source, has double the amount of calories than that of protein and carbs. You have to be careful how much fat you’re eating. It can be super hard to overlook this, especially when a handful of nuts can put you over the limit. Cardio is a good tool for accelerating fat loss but you have to be sensible with how you use it. Cardio results in cortisol spikes. Cortisol is the stress hormone. It helps break down fat. However, if you overdo the cardio, you’ll have too much stress hormone flooding your body and you’ll end up with the opposite of what you want: fat storage. Keep your cardio strategic and take a couple of rest days each week to make sure you’re recovering properly. Spend time outside and away from electronics/screens. Surround yourself with positive people and cut out negative people. Many people have shaky motivation when losing weight. They feel like they “should” lose weight and that’s why they are starting a new diet. But, deep down, they don’t really want to lose weight. Not having a super strong and compelling reason to stick to your diet and exercise regime will result in you half-assing everything. You’ll make excuses for eating junk food and missing your morning cardio. The fix? Really think hard about why you need to lose weight. Do you have a history of diabetes in the family? Have you been suffering from aches and pains due to weight? Think hard and write down the strong reasons for weight-loss. Losing weight is hard. You’ve got to really want it. You’ve got to inspect the calories of what you eat. Too many people think that because something is labelled as a “diet” food that it’s good for them. But, just like anything, you can overeat with these foods, resulting in stalled fat loss or, even worse, more inches added to your waistline. And you know Diet Coke has been found to have the same blood sugar spiking response as normal Coke? Translation: Diet Coke is not good for weight loss. Plus all the artificial sweeteners mean it is super bad for your health. I’ve heard plenty of people justify their lack of effort in the gym by saying they want to avoid “overtraining”. Overtraining sure can be a problem. However, if you’re not breaking a sweat and getting out of breath 3-5 times a week, you’re not even close to overtraining. Overtraining happens after months of intense exercise and breaking your body down without supplying it with the fuel to build back up. It is very unlikely that you are suffering from overtraining. People are so afraid of being a little hungry these days. In fact, many people in the Western world don’t even know what true hunger feels like because they’ve never gone more than a few hours without eating something. We have a snack culture that has conditioned us to think feeling even a little bit of hunger is bad. Feeling hunger on a diet is normal. If you’re afraid of being hungry, you’re more at risk of committing the number one mistake when trying to lose weight: eating too much. Feeling hungry is just nature’s way of telling you that you’re losing weight. Embrace the hunger. 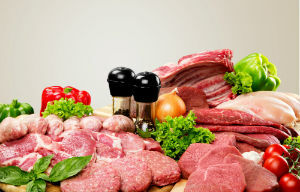 Protein is essential for preserving your muscles and stopping your body from breaking down. When you are dieting and working out, it is even more important that you fuel your body with adequate protein. Most people are eating way too little protein. I recommend 0.5-1g of protein per pound of body weight. So, if you are 200 lbs, you are going to eat a minimum of 100g of protein a day. Protein will also keep you fuller for longer and won’t spike your blood sugar like many carbs do. How do you know whether something is working or not if you don’t give it enough time? So many people will try Atkins one week, then fasting the next week, then low-fat the next week, then a juice cleanse the next week, then carb cycling the next week, and so on. Allow your body to respond to the diet you are following. When you settle on a diet, follow it for at least 1-2 months to see if it actually works. Remember, we want sustainable fat loss here. No yo-yo dieting, please! This is similar to the one above. You can experience paralysis by analysis by reading way too many fitness and health books and websites. Should I do Crossfit? Should I do 5x5? Should I run in the morning for 30 minutes? Or sprint in the evening for 10 minutes? Don’t get hung up on exactly what you do. Just pick something you can stick to and actually do it. I know how bad it can feel to have no willpower and give in to the chocolate cake temptation after you’ve “been good” all day. It makes us feel like a failure. And what happens next? We binge. We go crazy and think we’ve ruined the whole diet and we might as well just eat whatever we want. This is wrong thinking. If you mess up, don’t beat yourself up. Just remind yourself you need to stop while the damage is minimal and try harder next time. Talk to yourself lovingly and help yourself through this. Don’t be your own worst enemy. Dieting is hard enough as it is. You need at least one person rooting for your success and that person should be you! Heavy training is magic for losing weight. It helps to preserve muscle mass, keeps your soreness down, and accelerates fat loss. Don’t suddenly go for high reps with the weights just because you’re low on calories. Keep the strength training up but cut down on the volume and frequency. You know what happens when you train for strength on a fat-loss diet? Your body becomes hard, toned, and lean super quickly. Low-carb diets are fantastic. They are a great weight to lose quality weight. However, many people jump aboard the low-carb train way to quickly. They go from consuming 500g of carbs a day to 0g. Then they wonder why they suddenly get ill. This is known as the “low-carb flu” and it can be avoided by easing into a low-carb diet. This is a marathon, not a sprint. Slow changes to your diet are more sustainable in the long term and will lead to healthier fat loss. Too much steady state cardio can really beat your body up and doesn’t burn as many calories as some other forms of cardio. The cardio that’s best for losing body fat is known as high intensity interval training (HIIT). This is where you go hard for a short period of time (e.g. ~30 seconds – 1 minute), and then you go easy. You alternate between hard and easy for 10-20 minutes. A great form of cardio is to do hill sprints. Find a steep hill, or hit the incline on your treadmill, and run all out for 30 seconds. Then walk back to the other end. Rest for a minute or so. Then do it again. Do that 10 times and, if you’re not completely wiped out, follow it up with some steady-state cardio (like walking or jogging) for 10-20 minutes. Now that’s how you torch unwanted fat super quickly! Branched chain amino acids (BCAAs): These help to preserve muscle mass and blunt your appetite. My favorite BCAA supplement is the delicious Xtend by Scivation. You can check out my other recommendations here. Protein shake: You already know the benefits of a good protein shake. They make a great breakfast or post-workout treat and they help you keep your protein up. My favorite protein shake supplement at the moment is Isopure because it has 0g of carbs and 50g of protein per serving. Fat burner: Fat burners are great for boosting energy right when you need it most. 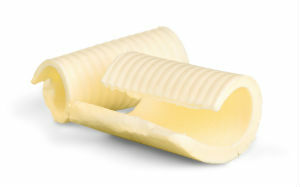 They also help to burn more fat in a rested state and suppress your appetite. My favorite fat burner is RED Burner by Red Supplements. Losing weight can be super hard. But let’s not make it harder on ourselves by following bad advice. 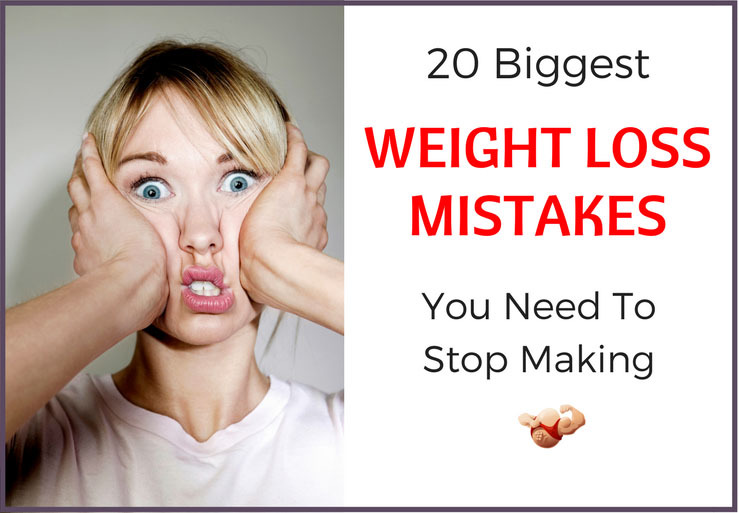 Ensure that you aren’t making any of these 20 common mistakes when trying to lose weight and you’ll reach your ideal body condition much quicker and much easier. Good luck and enjoy the ride! The information provided within this site is strictly for the purposes of information only and is not a replacement or substitute for professional advice, doctors visit or treatment. The provided content on this site should serve, at most, as a companion to a professional consult. It should under no circumstance replace the advice of your primary care provider. You should always consult your primary care physician prior to starting any new fitness, nutrition or weight loss regime. 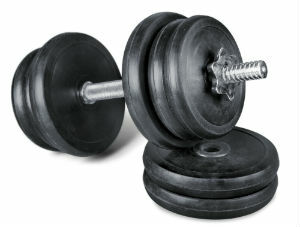 HardBoiledBody.com is a participant in the Amazon Services LLC Associates Program, an affiliate advertising program designed to provide a means for sites to earn advertising fees by advertising and linking to Amazon.com.